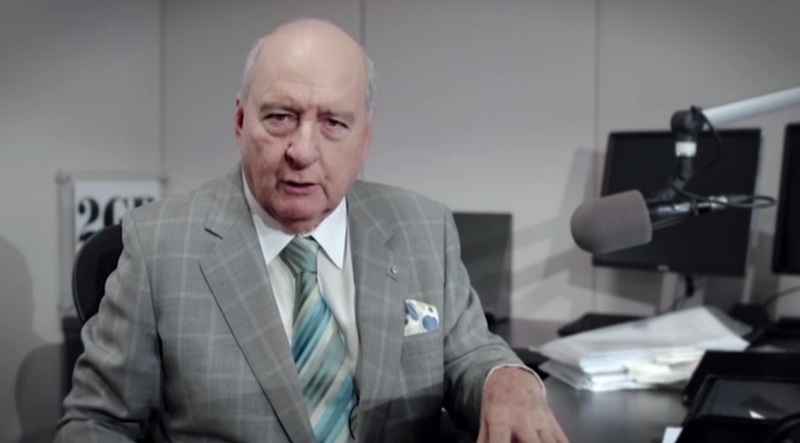 Broadcaster Alan Jones. Screenshot from http://www.news.com.au. Just two weeks following Adani’s announcement regarding plans to begin operations at its Carmichael coal mine in October, a TV ad featuring a famous radio broadcaster is pushing to ‘stop the taxpayer loan’ to the Indian group. Even though Jones is not an environmentalist himself, he is a vocal supporter of farmers and has become a fierce critic of the Adani mine. But his criticism is not linked to the potential impacts that the $12 billion (A$16bn) project would have on the Great Barrier Reef and vulnerable species in Queensland’s Galilee Basin. His focus is on Adani’s hope to get a $1 billion loan from the Federal Government’s National Australia Infrastructure Facility, which would go towards building a rail line from the mine to Abbot Point port so coal can be shipped overseas. Such a request follows a setback that Adani experienced back in March when Australia’s four biggest banks ruled out or withdrew funding from the project. In his speech, Jones also mentions rumours around the company’s financial deals. He says Carmichael's owners have been accused of transferring tax to the Cayman Islands, and have family members in court in India. According to the website news.com.au, the 2GB announcer’s ad is part of a campaign produced by the Lock the Gate Alliance, a national grassroots organization that rallies against unsafe coal and gas mining. On his own earlier this year, however, the 76-year-old also criticized Malcolm Turnbull government’s decision to grant water licenses to Adani, which will give the mine unlimited access to groundwater for the next 60 years with no government oversight.